UV Coated mask glasses are a fun and creative way to promote your business. Creative ideas like this are a great way to stay ahead of the competition. These masks are printed in FOUR COLOR PROCESS on 14 point thick paper and UV Coated on 1 side. GOT A FESTIVAL COMING UP1/3 UV coated paper mask glasses are a fun and creative way to promote your festival or next special event. Creative ideas like this are a great way to stay ahead of the competition and keep your name on people''s mind. 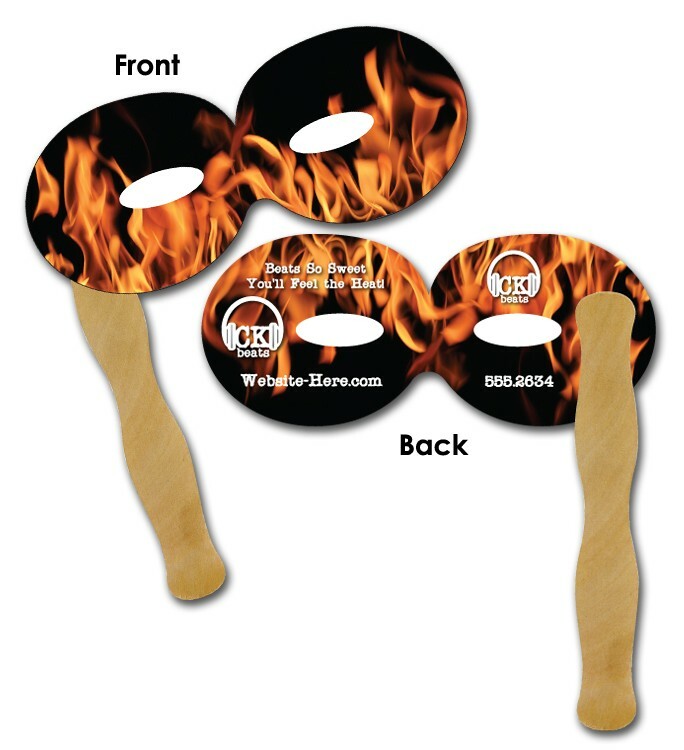 Perfect for fairs, festivals, conventions, trade shows, fund-raising events, coat check stations a festivals, vendors, fair workers, game give-aways, product promotions, hand-outs, etc. 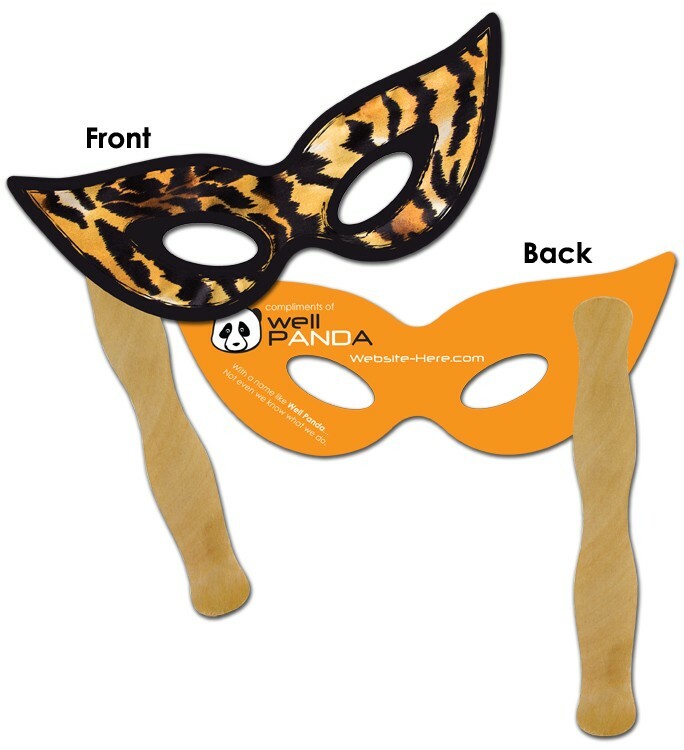 Party Masks are a fun and creative way to promote your business. Stick is applied to the back. Imprint whatever you like on both sides and let the party begin.